Google pixel and Google pixel XL have incorporated various modern technologies to give an edge over its rivals. According to google "The highest rated smartphone camera. Ever.With a best-ever 89 DxOMark Mobile score, Pixel's camera lets you take brilliant photos in low light, bright light or any light"
Phase detection autofocus:The phase detection/AF system is a very complex system that sees improvements pretty much every time when a higher end camera line is refreshed. Over the years, the number of autofocus points have been increasing, as well as the number of more reliable cross-type autofocus points. 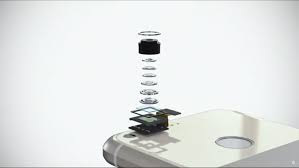 Laser detection autofocus:It makes use of laser sensor system to adjust the focus of the handset's rear camera. Google Pixel combines Phase detection and Laser detection to improve auto focusing capabilities of its rear camera. f/2.0 Aperture:What does an "f/2.0 lens" mean?-Simply put, it's the ratio between the focal length of the lens and the aperture / hole that lets light through the lens into the camera.For example, an f/2.0, 50mm lens would have a aperture/hole diameter of 25mm.So the large the 'f' number, the smaller the opening.So,f/2.0 lens in a Google Pixel/Google Pixel XL lets a lot of light through. Geo-tagging:You can add geographical identification metadata to photographs. What is Google Assistant?-Google Assistant is Google's latest virtual assistant.It is designed to be personal voice assistant. "The assistant is conversational - an ongoing two-way dialogue between you and Google that understands your world and helps you get things done. It makes it easy to buy movie tickets while on the go, to find that perfect restaurant for your family to grab a quick bite before the movie starts, and then help you navigate to the theater." Google Assistant is designed to be conversational. That means you can ask a question and then ask several follow-up questions, and Google Assistant will be able to keep track of the conversation, determine context, and audibly respond with the right information. For example, you can ask what you should have for dinner, and Google Assistant will locate local places to eat and serve up suggestions, with cards for a selection of restaurants. Here's how Google Assistant works across the different Google devices. Anyone can download and install Google Photos on their iOS or Android phone. But the photo storage service caps photo resolution at 16 megapixels and video resolution at full HD (1,920 x 1,080) if you want to store an unlimited amount of media for free. This means if you want to store higher resolution photos and videos at greater resolution (like 4K), you'd need to pay for a monthly storage plan. With unlimited photo and video storage and their highest resolutions, the Pixel phones are an attractive value for people who want to store their memories in full forever. It’s easier than ever to switch. Connect your old iPhone or Android device to your new Pixel with the Quick Switch Adapter.Switching from iPhone, Sign in to your Google Account. If you don't already have one, you'll be asked to create one. Switching from Android,then your new Pixel should automatically sign you in to your Google Account, but if not, simply enter your password. Once you’ve signed in to your Google Account, choose what you want to move, like your contacts, calendar events, photos, videos, music, SMS messages, iMessages and more. Then sit back and let Pixel do the work. AMOLED (active-matrix organic light-emitting diode):The key component in an LED display types is a Light Emitting Diode (LED)the key component in these display types is a Light Emitting Diode (LED). In an LED display panel these are shrunk down dramatically and arranged in red, green and blue clusters to create an individual pixel that can reproduce white light and various colors. The O in OLED stands for organic.There are a series of thin organic material films placed between two conductors in each LED, which is then used to produce light when a current is applied.AM part in AMOLED stands in for Active Matrix, rather than a passive matrix technology.In a passive matrix, a complex grid system is used to control individual pixels, where integrated circuits control a charge sent down each column or row. But this is rather slow and can be imprecise. Active Matrix systems attach a thin film transistor (TFT) and capacitor to each LED. This way, when a row and column is activated to access a pixel, the capacitor at the correct pixel can retain its charge in between refresh cycles, allowing for faster and more precise control.The major benefits from OLED type displays comes from the high level of control that can be exerted over each pixel. Pixels can be switched completely off, allowing for deep blacks and a high contrast ratio. Being able to dim and turn off individual pixels also saves on power. The lack of other layers on top of the LEDs means that the maximum amount of light reaches the display surface, resulting in brighter images with better viewing angles. In super AMOLED display,it incorporates the capacitive touchscreen right into the display, instead of it being a separate layer on top of the display. This makes the display thinner. 16M colors:Pixel supports True color 24-bit representation or for a total of 224 or 16,777,216 color variations. Resolution 1440 x 2560 pixels (~534 ppi pixel density):Pixel density (PPI) Refers to the concentration of pixels on a particular display, measured in pixels per inch (ppi). Pixel density is calculated by dividing the diagonal pixel resolution of a display by its diagonal size. Multitouch:Multi-touch is a method of input on a touchscreen that allows two or more fingers to be used on the screen at one time. Protection Corning Gorilla Glass 4:This prevents possible scratches.